Our Wedding Date Blog > Civil Ceremony or Church Wedding? Once you have announced your engagement and shared the news with your nearest and dearest, it is time to start thinking about the type of ceremony you would like. The decision between a civil ceremony or a church wedding is a very personal one and entirely up to the bride and groom. Civil ceremonies are becoming increasingly popular in Australia with 70% of weddings now conducted by a civil celebrant. However, you may decide to opt for a church ceremony that reflects your religious background. So what is the difference between a civil ceremony and a church wedding? A civil ceremony is a non-religious wedding ceremony performed by a civil celebrant. A civil celebrant must be licensed by the Attorney General. A Notice of Intended Marriage must be filled out and lodged with an authorised marriage celebrant at least one month and one day before your wedding date. It must be signed in front of the celebrant. You can book a celebrant up to 18 months before your wedding date and they do get booked up quickly, especially if you want a Saturday wedding. When you meet with your celebrant you will need to provide identification. If you were born in Australia you need to bring your birth certificate. If you were born outside of Australia you must provide your passport or naturalisation certificate. If you have been married before you need to produce a decree absolute or death certificate if your previous partner has died. Two adult witnesses are required at the ceremony. A civil ceremony gives you the freedom to make it your own. From the music and readings, to the order of service, a good celebrant will help you create a beautiful and unique ceremony which will express your personality as a couple. They will help you write your own vows if you choose to. You can have spiritual or religious wording in your vows. The locations for a civil ceremony are almost endless; a hotel, winery, the beach, the park, even your own back garden. Your celebrant will be able to provide some suggestions for a suitable venue. Some couples feel that a wedding would not be complete without a church. If you have a strong connection with the church and would like your marriage to be blessed by God, then a church wedding may be the best choice. Although it is the bride and groom’s decision, you may need to consider the religious backgrounds of both sides of the family, especially if these are different. As with civil ceremonies, a Notice of Intended Marriage must be filled out and lodged with an authorised marriage celebrant at least one month before your wedding date. You are required to provide birth certificates and sign a Statutory Declaration regarding your marital status. Most churches require that you attend a marriage course to help prepare you for married life. There is some flexibility with church weddings today. You can personalise the service by writing your own vows and you can have some input into the order of service. Readings tend to be religious but you can include non-religious readings in the service as long as they are approved by the church. Music must be suitable for a church wedding. You can arrange a soloist, choir or organist to perform at your ceremony. Whether you decide to go for a church wedding or a civil ceremony, check out our venues page to see which reception venues are available on your chosen date. 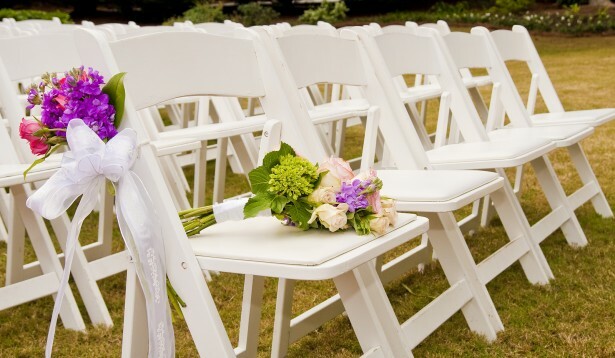 Are you planning to tie the know in a church or civil ceremony? What are the reasons behind your choice? Please share your experiences in the comments below.